Your home is the place you go to live, love your family and be comfortable. However, your home can also be expensive. With the mortgage, utilities and other expenses, a home could cost you most of your monthly income. With utilities such as water and power, you can make a difference in what you have to pay each month. The key is to find out what you are using of these utilities and how you can implement ways to reduce your energy usage, which will reduce your costs over time. Before you get started implementing ways to reduce your energy costs, you will first have to know what you currently use. You can understand the amount of energy you are using by looking at your monthly bill. On there, you can see the measurement of energy you are using per month. To get a full picture of the situation, look at what you've used for the past twelve billing cycles. If you live in an area with three or four distinct seasons, you'll notice spikes in the year where you are either turning on your air conditioner or having to use more heat in the winter months. 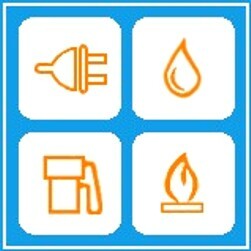 There are many ways you can start to reduce your energy costs, and many of these options won't cost you anything. Simple actions such as not leaving a cell phone charger plugged into the wall and turning off the lights in a room when you leave can start to reduce the cost of your energy bill. If you want to take your energy savings to the next level, you can start with getting your air conditioner inspected before summer begins and getting your furnace inspected before you turn it on in the winter. Along with these inspections, an annual duct cleaning can also get all the of the dust and dirt out of the way so that your heating and air conditioning equipment will run more efficiently. For homes with older heating and air conditioning systems, a full system upgrade may significantly reduce energy costs. Once you have implemented your savings plan, you can use energy savings calculator lighting measurements to see what you have saved in yearly energy costs. It may take a little effort to start reducing your energy usage, but with determination and a plan for you and your family, you can reduce your yearly energy costs without sacrificing your family's comfort.